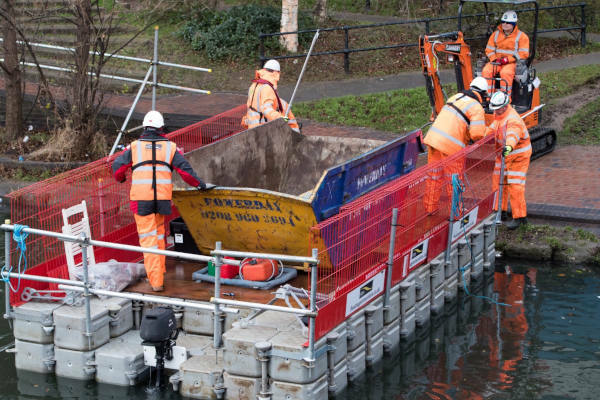 Well of course we could otherwise I wouldn’t be writing about it now, and these are the kind of jobs we love here at Floating Pontoon Hire. 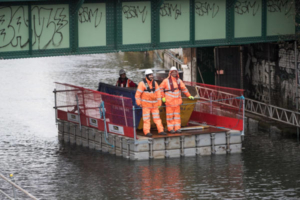 As the pictures show, we provided a double stacked pontoon measuring 6 x 3.5 metres which was fitted with a 6 hp Suzuki outboard motor allowing us to move the pontoon some 500 yards along The Grand Union Canal from a launching point up to the client’s work location. 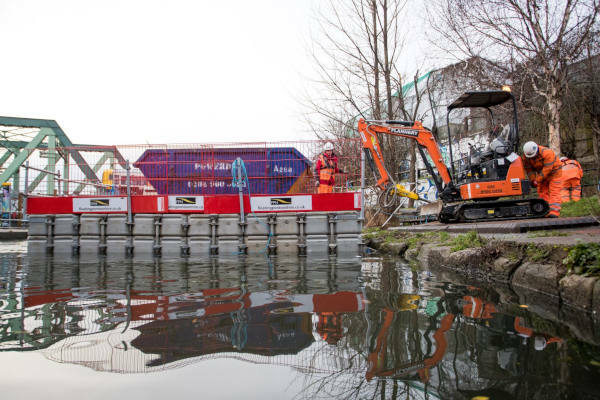 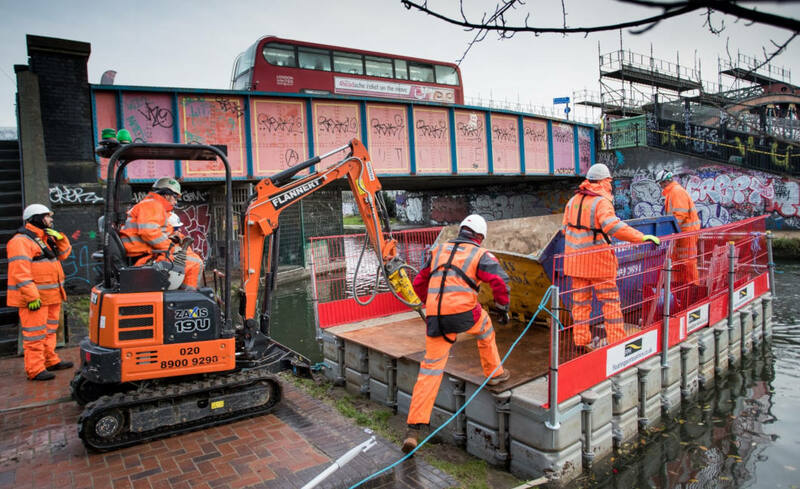 The pontoon was used to deliver the excavator to site and then used to ferry the skip back and forward to the launch point down canal where it was able to be emptied and returned back to site. Our pontoons work perfectly as floating rafts and work platforms, if you think we can be of assistance then get in touch now.